In the time since the Cemex sell-off, Yateley has had a new lease of life. Although those legendary carp like Bazil, Heather and their buddies are now long gone, the new stock has grown and returned Yateley to its former glory. Likewise, its banks may not now be trodden by the likes of Terry Hearn and me, but the anglers that fish Yateley now are just as passionate about the Yateley carp as we were 20 years ago. Every lake has come on in leaps and bounds in this time: The North boasts commons up to 54lb with a handful approaching 50, and the Car Park too has numerous good forties. The Split Lake is a real eye-opener with a good head of big fish up to 47lb! You would never have dreamed it. The Pads Lake, South Lake and even the diddy little Horseshoe and Pumphouse all contain big fish. The Pads has numerous forty-pluses. Over the other side of the road there is a similar story: multiple forties in the Match, some beasts now in the Copse and The Nursery holding fish to 47lb and maybe bigger, as its anglers keep very secret squirrel about what goes on over there. The Nursery is certainly Yateley's secret jewel in the crown. Hence the reason for this book… It’s been six years since the first two volumes, and the changes are phenomenal, the fish huge, and only living five minutes from the complex, I felt duty bound to record the history further on these lakes, the UK's true heritage waters. The format remains much the same: the page numbers continue through the volumes. Maybe in another ten years, there will be more history to record, even perhaps a Yateley British record… who knows? Now wouldn't that be something? I have also decided to include the Yateley lakes on the edge of the old Cemex complex, these being Little Moulsham, Mill Lane, Swan Valley and Sandhurst. Each contain their own treasures including a couple of fifties! Because of the sheer size of this project and to do justice to all the lakes there will once again be two volumes. Volume 3 contains chapters on the North Lake, The Split Lake, Horseshoe and Pumphouse, The Pads Lake, Car Park, Moulsham and Mill Lane. 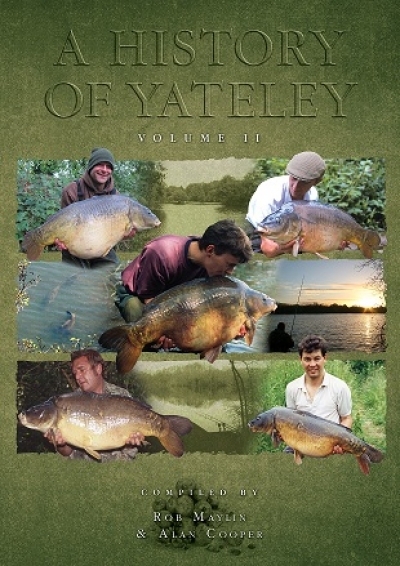 Volume 4 contains the chapters on The South Lake, Match Lake, Copse Lake, Nursery Lake, Sandhurst and Swan Valley. 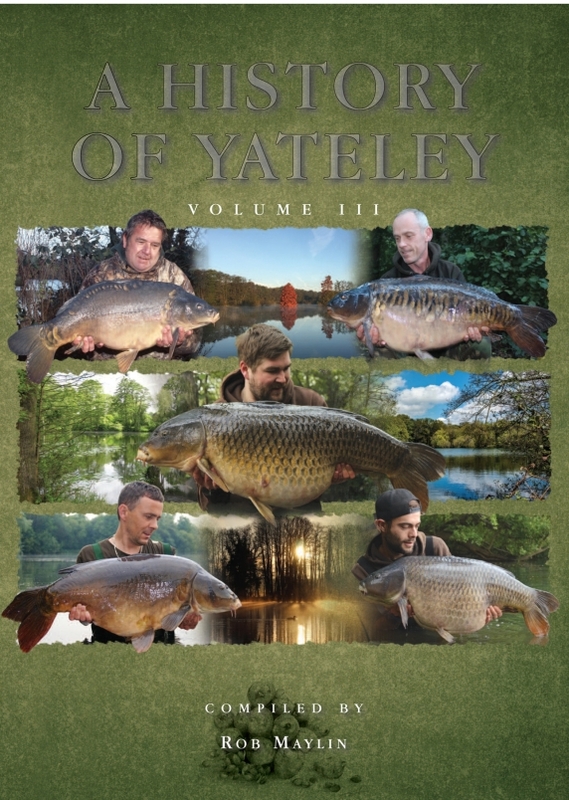 There are some great introductory pieces from Martin Gardner, owner of Yateley West Fisheries and Ian Gray, Honorary Secretary of Farnham Angling Society, the owners of Yateley East, plus a chapter featuring the famous Stoney and Friends MacMillan bashes each year. There are stock lists with photos of as many of the new residents as it was possible to get and chapters from the guys who fish there at present – ordinary guys with some great tales to tell of their captures on each of the lakes. All this is combined with fantastic colour photography throughout, some amazing paintings of each lake and a host of special drawings commissioned for these volumes. These volumes are as much, if not more, of a work of art as the predecessors. The first two volumes were amazing and received worldwide praise… but dare I say, in my opinion, these two volumes could be even better? A massive thanks to all concerned, and long may Yateley continue! Long live the king of English carp fishing history.